My grandson has a shape sorting toy. I'm sure you've seen one. It's a brightly coloured plastic box with a series of differently shaped holes: a square hole, a circular hole, a triangular hole and so on. 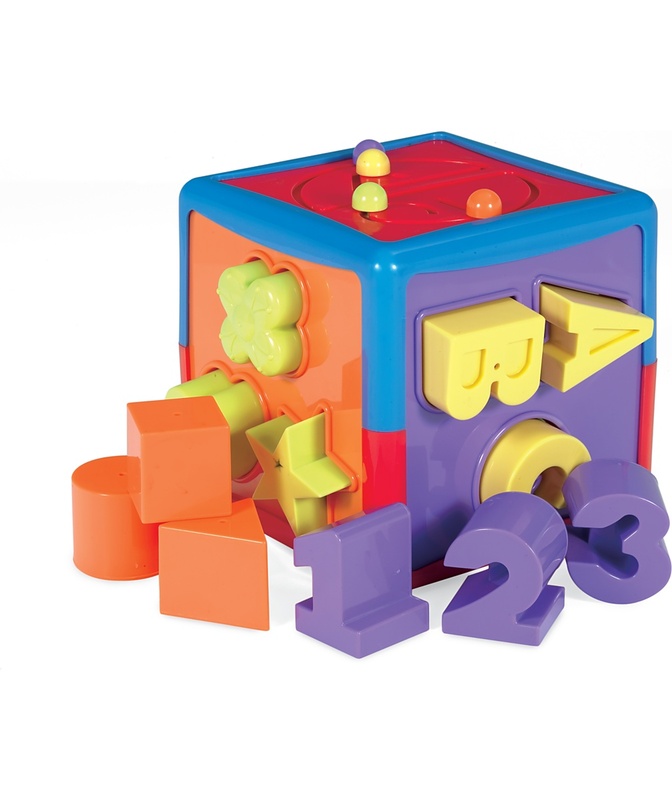 There are also a number of matching plastic shapes and the point of the toy is for the child to push each shape through the correct hole and into the box. When my grandson feels like it he can correctly sort some (though not all) of the shapes. But only when he feels like it. On other occasions he will determinedly try to push the triangular shape through the square hole or the square shape through the circular hole. It's no good pointing out to him that it's the wrong shape for the hole. He knows that. He just wants to make it into the correct one by sheer determination. He wants to bend the toy to his will. It usually ends up with him shouting out loud and throwing it away in disgust. When I'm not looking after my grandson or writing children's books, I'm the Writing Fellow at Goldsmiths College, London. I sit in my office and people come to see me to talk about the problems they experience with their writing. Today I saw a young woman who felt she ought to be getting better grades. It was clear just from talking to her that she was intelligent. So I asked her to show me one of her essays. I only had to read the first page to see what she was doing wrong. She was approaching the task as if she were writing a historical novel. I think you should try tackling this more systematically, I suggested. You need a clear introduction in which you state what your argument is going to be, then a series of paragraphs, each dealing with a specific aspect of the topic under discussion, and each following its predecessor in an orderly sequence, like a set of steps leading the reader neatly to your conclusion. Actually she knew this perfectly well. In fact, she agreed wholeheartedly with me. That was exactly what she ought to do. So why was she writing like this instead? Because she wanted to do something more individual, something more creative. But it's not really creativity that's required here, I pointed out. At least not the kind of creativity you might apply to writing a novel. The point of an academic essay is to demonstrate you've understood the topic. You show you've read what the authorities on the subject have to say, and considered how their arguments apply to this case. That way your tutor knows you're making progress. She knew that too but it just seemed so boring. So very disappointing. Her eyes misted up. She had hoped university would be more interesting. I felt immensely sorry for her, trying so hard to push herself through a university-shaped hole. I can still remember what that felt like even though it's a very long time since I was at college. After she'd left it occurred to me that next time my grandson throws the shape sorting box across the kitchen , I must try to remember what's really going on in his head. He's not just having a tantrum. It's more complicated. I'm asking him for an essay but he wants to write a novel. No wonder he gets frustrated! Thank you Derek. It may take me some time.